A winter storm watch has been issued for Tuesday into Wednesday forecasting 25 centimetres of snow, so that would slow down snow removal and roadway widening mid-week if the storm materializes. The widening program is completed with both contract blower and City equipment. This process involves widening the roadway and blowing the snow accumulation back behind the banks onto City property. 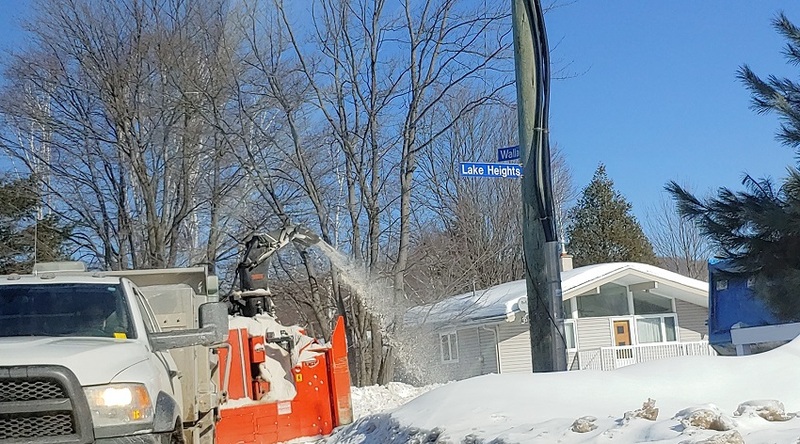 Mayne says, “We have completed all of [West] Ferris, city core, Pinewood, and are currently around Ski Club and the Airport Hill area.” Crews began to tackle the snowbanks in Graniteville and Birchaven over the weekend and work will continue this week. The removal program is being conducted from 4:00am through 4:00pm weekdays with City staff and contract trucks, as required. 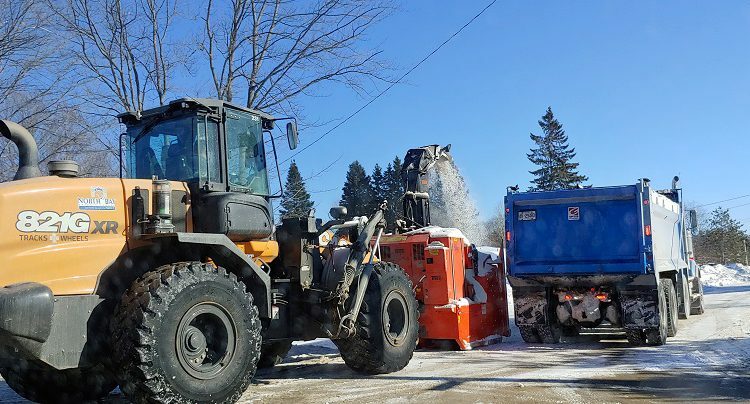 Efforts cleared the Princess, Victoria, and King Street areas late last week.